This beautiful Collection is perfect for all wedding photos. The concept of to Love, Honor and Cherish is universal to all weddings. 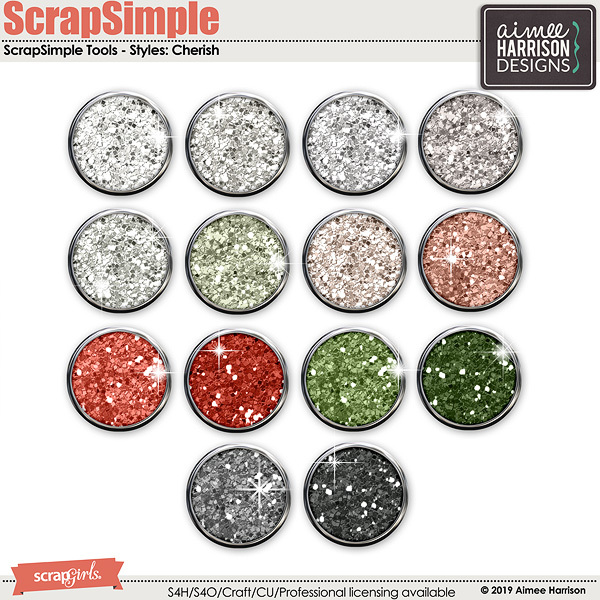 Cherish Collection by Aimee Harrison is PU/S2H/S4O friendly. 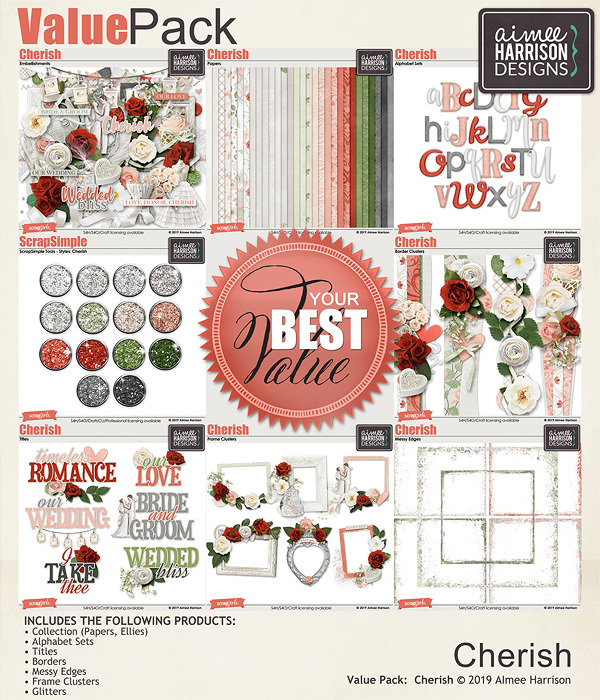 Cherish Alpha Sets by Aimee Harrison are PU/S2H/S4O friendly. 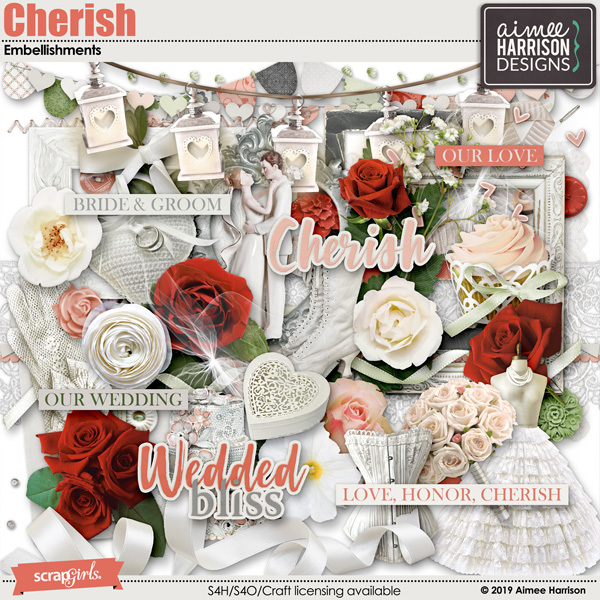 Cherish Titles by Aimee Harrison are PU/S4O/S4H friendly. 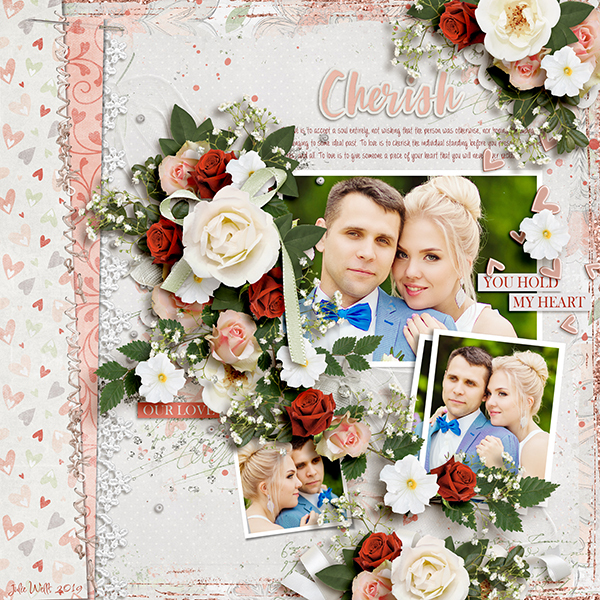 Cherish Frame Clusters by Aimee Harrison are PU/S2H/S4O friendly. 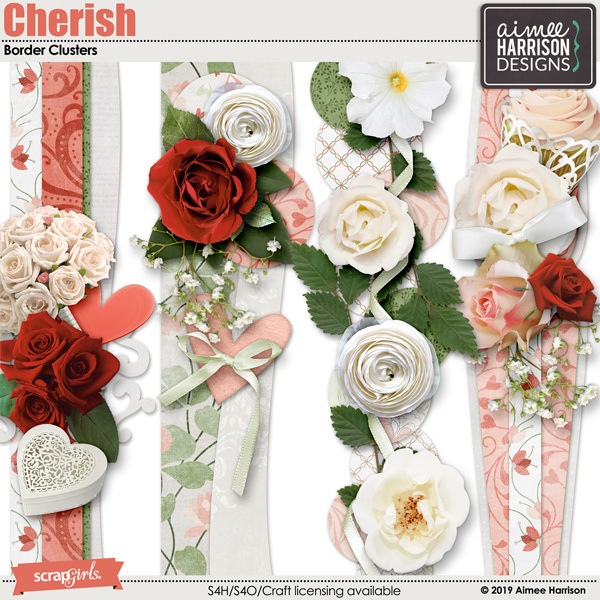 Cherish Borders by Aimee Harrison are PU/S2H/S4O friendly. Cherish Messy Edges by Aimee Harrison are PU/S4O/S4H friendly.